So I sort of let it go for a month… or three. It was in the fridge, looking like this, and I hadn’t even taken a peek at it. I had moved onto other post research and recipes! So when I felt like making more kefir soda pop, I dared to peek inside. It was dark brown and murky. Bummer. Julie at Cultures for Health has been SO patient with me. “Ooops, I set my sourdough starter on fire.” She happily sent me more. “Darn it, that starter isn’t doing it’s thing.” Not a problem, “Let’s try another one,” she said. This time I was determined that I needed to learn my lesson about letting things go, forgetting about things, burning things up, etc., and I didn’t tell her, I just ordered more kefir grains. So Julie, patient Julie, sent ANOTHER batch of kefir grains to this dingbat. Now I’m ready to hydrate them and go again. This time I’ll pay more attention to the part of her instructions about what to do if you don’t make more soda for a while. Do any of you have some tips to share for keeping your kefir grains healthy? I’m having carbonation issues with my water kefir grains! I’ve been making the kefir water as instructed, but the carbonation just isn’t happening. I used organic cane sugar, distiller water, let the grains sit for 48 hours….added organic fruit juice, bottled it, let it sit out for 20 hours….no carbonation. I’ve done 2 batches with similar results….anyone have ideas for me? Kim, I don’t know about the distilled water, it seems like I’ve heard something about that not being a good idea, but can’t remember for sure now. You also might try palm sugar instead of organic cane sugar. I’ll bet the biggest issue, though, is that you just need to let it set longer than 20 hours after the 2nd bottling. Mine takes about 18 hours to get fizzy, but sometimes a little less, sometimes longer, it just depends on the temps in your house, and probably on other things, too. For the many readers out there that are having problems with the lack of fizziness issue, I was struggling with the same frustrating problem. A friend told me to try adding 1 tsp coconut sugar with each batch and the fizziness has been through the roof. Good luck. Hmmm, that’s odd. Try straining out the kefir water and you should see the kefir grains there. They’re very light-colored, almost translucent. Sorry I don’t know, I’ve never used those sugars. Hopefully someone else will jump in to help! I have had mine for quite a while. There have been periods when I wasn’t using it and I just stored it in sugar water in the fridge. I have used raisins before because of the minerals that are in them and then I also us sucanant instead of regular white sugar so it will have some minerals. LOVE reading about all your “experiments” 🙂 It’s so much fun rediscovering hidden art forms. I have a question about cultures for health. I ordered some stuff from them. The water kefir, and milk kefir grains were AWESOME. Having a great time “kefiring”. The kombucha culture I ordered never came to life. I was terribly bummed. I emailed them twice, and never heard back. I can’t find a phone number for them. Do you have one? or maybe a better email for contacting them? Jamie, I want some of that blueberry kefir soda…….yum! So far, the family hasn’t been thrilled with the taste of the soda’s I’ve experimented with… but I have a gallon of the most delicious blueberry juice in the fridge and I’m going to start a new batch tomorrow and use that in the soda. I’ve also not gotten very good carbonation because I bottled and placed in the fridge… somehow I missed the leaving on the counter step. I use Sucanat to feed my grains… I get a brown colored water, but the grains seem happy with all the minerals. 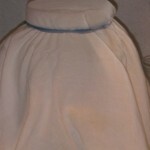 I have to boil water first and allow to cool since we are on city (ick) water and carbon filters are a no-no. I had read that the water grains didn’t multiply like dairy… but mine are definitely growing. I left them in a small jar in the fridge for a couple weeks (with water and plenty of sugar) and they are now huge! Even after getting tipped over and a large amount of the sugar water drained out. We LOVE LOVE LOVE our dairy kefir and make smoothies daily… my celiac daughter who has had MAJOR bowel issues since she was an infant is now moving quite nicely… YAY! Thank you so very much.. I will continue to use both milk and water kefir! We have been doing dairy kefir for a while using VAT (low temp) pasteurized, non-homogenized, whole milk (from Sawall’s if you happen to be in SW Michigan). I drink a pint of it daily (and I feel miserable if I forget two days in a row) and use it to take my fish oil and other various supplements. If you buy kefir at the store you will typically find that it has an ingredient list, ours is cultured milk. Period. We have strained the kefir for whey and used it to make sauerkraut, Weston A Price’s ketchup recipe (and we turned a batch of that into BBQ sauce), and a few other things I am not remembering at 3:30 am. For oatmeal we have used steel cut oats soaked overnight with whey and then baked. A batch of a quasi-energy/granola bar started with whey soaked oats spread on a tray and (mostly) dried in the oven. Unfortunately our strainer is breaking down and we are not having much luck finding a replacement that isn’t tiny (1/2 cup? Puh-leeze!) or way expensive. I think our kombucha scoby is dead. I killed mine too. Both my yogurt and water kefir cultures were doing great, then I got pregnant and morning sickness took over. My husband took over most kitchen things but those got lost in the shuffle. Luckily I still had the second half of my yogurt so that is fine. I had tried to dehydrate my kefir a while ago in a process similar to NancyO’s suggestion but only on the counter and not in a dehydrator but when I tried to rehydrate them last week, nothing happened. I guess I’ll be buying a new set. On the bright side, I really liked the juice kefir I made but was never sure if my husband did or it he was just appeasing me but he has asked several times if I was going to start it up again. Now I know for sure that he is a fan too! try adding a little vanilla extract. my tasted like beer too, so much that my husband wouldn’t drink it… but when i added a little vanilla…. he liked it and is now drinking it.. yahoo!!! Hmmm, so like how much vanilla?? try about 1 tsp per quart. not too much .. i try to stay away from too much alcohol. a little dab’l do ya. I’m now experimenting by actually adding two cut up vanilla beans to the milk as it is kefiring. (during the culturing process) I am doing that to my water kefir too. My water kefir are going crazy! (pretty sure they are making lots of babies) I make sure that I change the water every 3-4 days. I also use not quite white organic sugar and tap water than has been dechlorinated via blender or boiling. Since i keep cheesecloth on top of mine I just pour out the old water and pour in the new water without even taking off the cheesecloth. I don;t worry if there is a little kefir left in the jar. I then mix the keifir with juice (2 parts Kefir to 1 part juice- strong I know, but then I let it sit in a mason jar or pour it into a screw to pop or beer bottle that has been cleaned out. It really carbonates if you let it set for a few days but be careful because I exploded a bottle when I forgot about them. They were in a case so I didn’t get shards of glass everywhere (Thank you God!) The jars and bottles will start to hiss if they are getting really carbonated. My first batch exploded too, it was a fresh batch only 10 hours old. Yikes. Now it appears that my grains (in a separate jar for growing only) looks dead, it may be my water. I use Zero Water Pitcher but the filter was too old. I’m starting over – again. Ugh, sorry to hear that Karen, good luck!!! I know this is a little off topic, but I had the idea of “fermenting” some oatmeal for breakfast by placing it in a glass jar with soured raw milk and letting it go for 24 hours and then microwaving and eating it. The soaking would break down the phytic acid, and the fermentation would make the oats even more digestible. However, after 7 hours the jar looks like it is doing something interesting (the raw milk is foamy and thick on top of the oatmeal on the bottom and the whole mixture is gelatinous looking). Do you think this is a bad idea? I am stuck with what to do with my soured raw milk that doesn’t involve lots of work and time (college student). I know that the microwave will not be very good for the raw milk, but besides that, should I continue with the idea? Kelly – I have some bodacious dairy kefir grains if you need any. I nearly let my Kombucha scoby die but think I have revived it – we’re still waiting to see. I’ve got the water kefir grains in my frige but just haven’t had time to get them started – that will be a closer-to-summer project I think 🙂 Like many others that have commented on the various topics – I feed as many things on my counter as I do at a table!! Thank you for this great tip!! I am diffinitely going to do this. I bet my grand girls will love it. My family LOVES Kombucha and here is why. 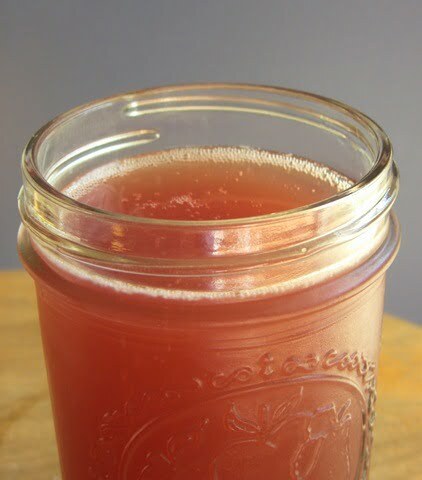 When the kombucha is done brewing and we’re ready to bottle, I pour a small amount of concentrated grape or cranberry juice into the bottle. I cap them and let them sit for another three days. It tastes just like grape soda then! We drink a LOT of kimbucha, when I remember to make it. But luckily we all drink lots of water kefir lemonade so those grains and alive and kicking! Water kefir grains can also be dehydrated on a very low setting in a dehydrator. I have done a bunch this way with great sucess. You have to rinse all the sugar off them with filtered water, and then spread them on the tray…otherwise they will stick to the plastic trays or parchment paper. Overnight drying just about does it, but you’ll know. About 1 tablespoon rehydrates to 1/3 cup. When I have an excess that no one wants, I dry them for when someone does, or in case I need a back up. When reyhydrating them, soak overnight in a cup of spring water (high mineral content) with a tablespoon of sugar added. Proceed as usual. The first batch or two always is a little slimy so I toss it, but after a bit they do just great! I have found that using spring water for the first few weeks of making it gives them a good start. Then I tell people to try their own water as long as it isn’t chlorinated. If they slow down, go back to spring water. Buying spring water is still cheaper than buying any kind of soda that’s out there! I have done milk kefir grains this way, too, and they dry to a beautiful deep gold color…like concentrated cream! I also have put my first fermented kefir in the frig like you suggested when you run out of time, but it broke them down into a sludge like stuff. They still worked, but were so small they went right through the strainer. No growth with that! So I started over, and if I run out of time, they just get a ltitle long in the first fermentation. They do much better that way…and I don’t forget they are in the frig! I made kefir last week, and I am trying to make kombucha this week, but keep getting interrupted in my plan (home school, daily tasks, etc). I have a friend who visits my blog who sent me a scoby starter for kombucha and some dairy kefir grains last week. The kefir turned out fine, although there isn’t a large amount (I used a combination of my friend’s recipe and the one in Nourishing Traditions). I also made buttermilk last week and haven’t used either of those things yet for anything, so I’m thinking cream cheese. The kombucha keeps getting put off because of various things…today it’s because I am trying to get blog posts done and do some items for our business while doing school at the same time (and responding to this post)….and my big pot for brewing the starter tea is dirty…argh!! So, here’s what I’m wondering – after the dairy grains are used to make kefir and removed from the kefir (I put them back into the jar they came in), how long do they last? I haven’t yet had a moment to do something with them again…I guess I could be doing it now as I’m writing this! But I’m just wondering because I accidentally left my grains in the raw milk when I was making kefir last week for about 6 days, and they were fine. But when my friend sent them to me, she said to use them right away or they might have to be thrown out. I make dairy kefir every day with raw milk for about 6 months now without any problems, and they grow quite rapidly, so I just eat them. My husband loves it as a smoothie. I make soft cheeses out of the kefir and save the whey for fermenting and making ricotta cheese. I also make kombucha, which my husband and I really enjoy. I’ve been trying to get our grown boys and their families to drink them, unsuccessfully (to get them off unhealthysoda’s!) So… I was wondering if kefir soda taste better and maybe I should consider getting the grains so maybe my kids will get hooked on this soda instead?! I’ve never had the opportunity to taste kefir soda unfortunately. Would do you think? I use sucanat and egg shells. We have our own chickens, so sometimes the shells are stained. I use the cleanest ones. I just rinse them out and put them in. I don’t use shells every time. We also are on a well, so I don’t have to worry about clorine, etc. The grains grow like crazy. I killed my kefir grains, too, Kelly! We are in the midst of a move, staying with family for a few months, and in all the confusion I neglected my grains for too long. I hope to restock once we’re settled in our new place. At least I was able to save the kombucha! I get dissolved minerals from the health food store. I get the most potent type I can and add it by dipping a toothpick into the bottle, then putting the toothpick (and the teensy drop that adheres to it) into the quart jar of sugar water before I add the kefir grains. Actually, in the podcast, Julie said a tiny pinch of sea salt would be fine! I use filtered water so I add refined sugar; rapadura; pinch of real salt; pinch of baking soda; about an inch of shell from hard-boiled eggs (I keep a baggie in the fridge of shells from when we have them so they are always handy for kefir). I’m really bad about letting it sit out too long when things are busy (read: always!). Somehow my grains limp along and keep kefiring. Every once in a while they will smell like dirty socks (gross). I’ll give them a really good rinsing, change jars, and do several quick 1/2 day sugar/water cycles. Then start over. It seems to work. I’ve never done the rebottling that you do and mine is not quite fizzy except when I first pour it out. I always put an egg shell in my water kefir jar. (I don’t go to the trouble Andrew does of using sterilized powdered egg shell — I just toss the egg shell right in — I figure the beneficial bacteria will handle anything bad.) It gives them the minerals they need. I’ve also noticed that when I make water kefir with rapadura (sucanat), they really like that (more minerals). The rapadura makes a more molasses-y tasting kefir soda, so I don’t use it every time. I had left my water kefir in the fridge for many months, too — maybe as long as 6 months! But I guess having that egg in there (and I loaded it up with sugar before I stuck it in there) helped keep it alive. It took them a while to be revived. When I first added water and sugar after that long period, they didn’t seem to be working. Instead of fermenting in 2-3 days like they usually do, it took like 5 days. But they did come back to life. I added rapadura for the next batch and now they’re happy again. I love Diana’s idea of freezing kefir grains. I need to do that. I was going to recommend Dom’s site but Diana beat me to it. It is one of the best single sites on the internet. It got me into culture foods long before I ever picked up a copy of Nourishing Traditions. It has lots of good info on soy and grain cultures too. You absolutely can’t go wrong with that site. To keep my water kefir grains (tibicos) happy, I replace half of the white sugar with raw, demerara, turbinado, or piloncillo sugar (or if I’m being cheap I’ll use brown sugar). White sugar is little more than pure carbohydrate, while the less processed sugars (and brown sugar) have some vitamins and minerals. If I’m feeling particularly adventurous I’ll use some sterilized, powdered eggshell (1/8 tsp per quart). The water kefir grains seem to really like it. I use organic cane sugar with molasses and a tad pinch of sea salt, along with some vanilla flavoring. I use purified (filtered) water and never use tap water. I make sure the water/sugar/molasses mixture is lukewarm before I add the grains to it. My milk kefir grains have never given me a problem. I ferment now for 48 hours and it creates a thick, creamy kefir that is just delicious with vanilla and stevia. 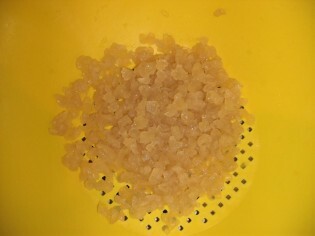 I haven’t ever had any water kefir grains, so sorry I can’t help there, but I can help with milk kefir grains. 🙂 If my kefir ever begins to smell “off”, and it doesn’t taste as good, I start this process. I often make my own buttermilk, and it is so easy. Buy your favorite Organic cultured buttermilk at the store. Pour in about 1/4 C of buttermilk into a jar, fill with milk and let is set overnight in a warm place. Just like kefir. In the morning you will have buttermilk. Take your fresh buttermilk, and fill your kefir jar 1/4 of the way up, add your kefir grains and let them sit for 12-24 hours. I usually only let them sit for 12 hours but 24 is best. Then fill the jar up with milk, and let the kefir process as usual. Keep doing this every batch of kefir you make for about a week. I have noticed that by using this method my kefir grains are always growing rapidly, the taste of my kefir is wonderful and I can tell that my kefir grains are very healthy. I also do this after bringing any grains out of storage. I’ve had my milk kefir grains going strong for about a year now, without any problems. Mostly, I keep them going by keeping them in use all the time. I make a quart of raw milk kefir every 2-3 days, so I rarely rest my kefir grains. I have tried various experiments in storing them. I’ve rinsed, vacuum-sealed, and then frozen them. I’ve also put them in a small glass gar with some milk, then frozen that. In both cases, I’ve been able to revive them with ease after a few months in the freezer. It’s nice to have some backup, just in case anything happens to them! BTW, Dom’s Kefir FAQ is a fantastic resource on all things kefir, including storage. Notably, lots of people do damage to their kefir grains by trying to keep them “clean.” It’s a mistake to rinse them, for example. And you don’t need to use a fresh jar every time, as some recommend. I use the same jar for about one to two weeks, then swap out a new one. The leftover kefir from the last batch only helps with the new one, I think. Where do you get dissolved minerals? And I suppose some sea salt won’t be good, right? Hopefully Julie is reading… She’s always there for me! I do! I do! My grains died after only four months of use. I called a friend that I shared the grains with and her batch is doing fine, it’s just mine. Turns out the filtration I use (both reverse osmosis AND carbon filtering) that makes our water almost-drinkable also renders it nearly mineral-free, and kefir grains like minerals! I would have never known this, but I asked Cheeseslave to ask Julie at (you guessed it) Cultures for Health when she was on Ann Marie’s podcast! I picked up some dissolved minerals to add to the water–both the kefir’s and my own–and I suspect we’ll be bubbling along again soon!